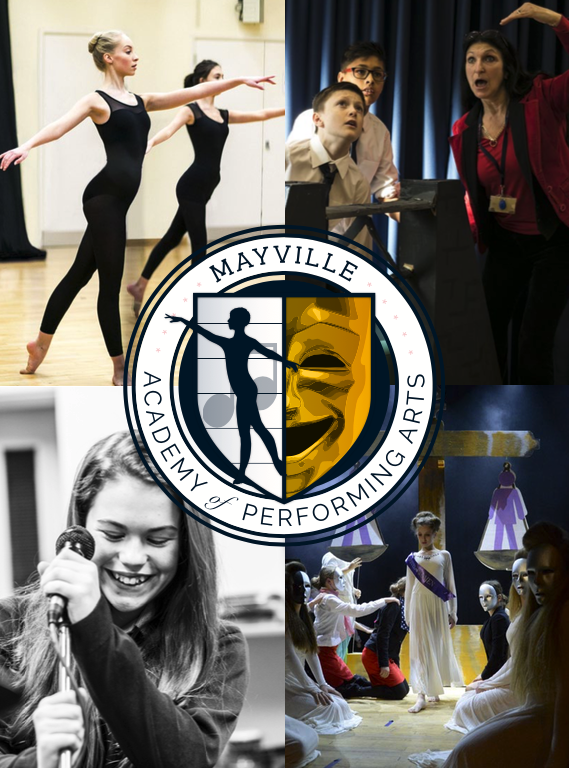 Mayville High School is pleased to announce the launch of its Performing Arts Academy, offering your children the chance to take part in Summer Schools in dance, singing, drama & stage management. Mayville High School has long been ahead of its time in recognising the intrinsic value of performing arts and now we would like to offer our expertise and facilities to all children in the school holidays. Our pupils have been taking LAMDA exams in speech and drama since 1985 and we are one the few schools in the South to have been involved in Rock Challenge since its inception more than 20 years ago. This year we are staging High School Musical at the Kings Theatre and our last performance of Peter Pan there saw specialist teams brought in to teach our children to fly in harnesses. in the creative industry as dancers, actors and in television. It is an opportunity for your children to improve their confidence and fitness, build on the skills they already have and work as part of a team. They will have tremendous fun! We would like to warmly invite all budding young actors, singers, dancers and those interested in behind-the-scenes skills to take part.